This article has been prepared to help you understand the colonoscopy procedure. It includes answers to questions patients ask most frequently. Please read it carefully. If you have additional questions, please feel free to discuss them with the endoscopy nurse or your physician before the examination begins. 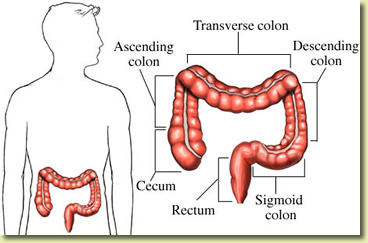 The colon must be completely clean for the procedure to be accurate and complete. Your physician will give you detailed instructions regarding the dietary restrictions to be followed and the cleansing routine to be used. Follow your doctor's instructions carefully. If you do not, the procedure may have to be canceled and repeated later. Colonoscopy is usually well tolerated and rarely causes much pain. There is often a feeling of a pressure, bloating, or cramping at times during the procedure. Your doctor may give you medication through a vein to help you relax and better tolerate any discomfort from the procedure. 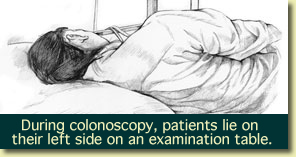 You will be lying on your side or on your back while the colonoscope is advanced slowly through the large intestine. As the colonoscope is slowly withdrawn, the lining is again carefully examined. The procedure usually takes 15 to 60 minutes. In some cases, passage of the colonoscope through the entire colon to its junction with the small intestine cannot be achieved. The physician will decide if the limited examination is sufficient or if other examinations are necessary. What are polyps and why are the removed? The majority of polyps are benign (noncancerous) but the doctor cannot always tell a benign from a malignant (cancerous) polyp by it outer appearance alone. For the reason, removed polyps are sent for tissue analysis. 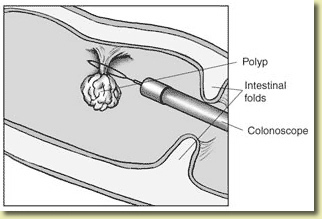 Removal of colon polyps is an important means of preventing colorectal cancer. Tiny polyps may be totally destroyed by fulguration (burning), but larger polyps are removed by a technique called snare polypectomy. The doctor passes a wire loop (snare) through the colonoscope and severs the attachment of the polyp from the intestinal wall by means of an electrical current. After colonoscopy, your physician will explain the results to you. If you have been given medications during the procedure, someone must accompany you home from the procedure because of the sedation used during the examination. Even if you feel alert after the procedure, your judgment and reflexes may be impaired by the sedation for the rest of the day, making it unsafe for you to drive or operate any machinery. You may have some cramping or bloating because of the air introduced into the colon during the examination. This should disappear quickly with passage of flatus (gas). Generally, you should be able to eat after leaving the endoscopy, but your doctor may restrict your diet and activities, especially after polypectomy.